The costs of health insurance, prescription drugs, and hospital charges keep rising, and these costs are increasingly shifted to workers, creating an unsustainable situation for workers. The urgency for reform is clear every day at the bargaining table, where unions seek to preserve the benefits workers have earned, but these high costs help to sustain a climate of concessionary bargaining, pushing wages down, diverting potential wage and pension improvements to the pockets of the insurance companies and their high-salaried executives, causing bitter strikes and lockouts, triggering attacks on public sector workers and retirees, and shifting more and more of the costs onto the backs of workers. Health insurance is a battlefield. More than 100 advocates from across the state, including a strong Western Mass. contingent (pictured here), gathered at the Statehouse for Lobby Day on Jan. 23rd. 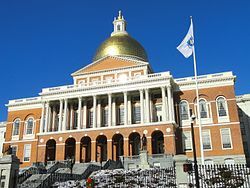 Many thanks to those who attended Lobby Day, and to all of you who called and emailed your state reps and senators. The final tally for cosponsors on HD2974, the House Medicare for All bill is 62. This is a 40% increase since last session – and Western Mass. more than doubled its cosponsors from 7 to 15! The total number of legislators who have signed on at this point to either the Senate or House bills is 73. Reps and Senators can continue to sign on to the Senate bill (SD2062) until it comes out of committee. 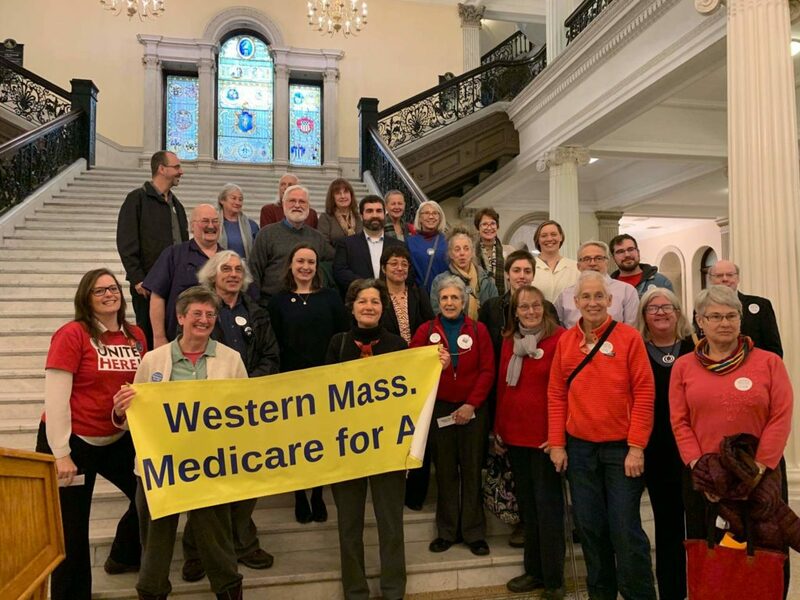 As we continue to build the grassroots movement for Medicare for All in Massachusetts, more legislators are getting on-board. They can see that this matters to the people in their districts. We are also starting to get some pushback. A new columnist in the Hampshire Gazette recently chose to challenge Medicare for All in his first opinion piece. Responses by Prof. Gerald Friedman and Deborah Levenson, WMM4A Co-Convener, were published a few days later. Standing up to the opposition is part of this struggle … and here we go! Our non-binding question in support of Single Payer for Mass. passed in every single town in the six legislative districts where it appeared on the ballot. Overall, Question 4 was approved by nearly 77% of the voters in those districts! 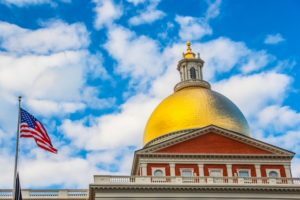 This success sends a strong message to these representatives that their constituents want them to fight for Medicare for All on Beacon Hill: Reps. Paul Mark, Natalie Blais, Lindsay Sabadosa, Dan Carey, Mindy Domb, and Aaron Vega. 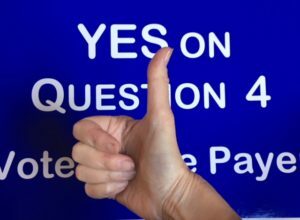 Continue reading “Question 4 Wins Big! 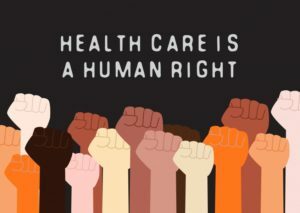 Last April and May, I joined with members of Western Mass Medicare for All to collect signatures to get a non-binding referendum on the November ballot giving voters the opportunity to weigh in on the question of whether they would support single-payer health care in Massachusetts. Getting people to sign my petition was the easiest sell I’ve ever made. Those I spoke with were fed up with rising health care costs and fearful that the stripping away of the Affordable Care Act was going to further erode their access to health care.